Fame's light duty Plastic pallets provide an innovative, low cost, durable and reliable solution for light weight material handling needs. Fame's palatalizing solution for export consignments, in-house storage and internal material handling & movement. our offered Industrial Plastic Pallets provide a safe and secure material handling solution. Available in reversible and nonreversible structures, these pallets are known for excellent weather and excellent chemical resistant properties. The provided pallets are used in various industries like food processing, pharmaceutical, chemical, packaging, electronics, printing & publishing, textile, garment etc. These pallets do not require maintenance. 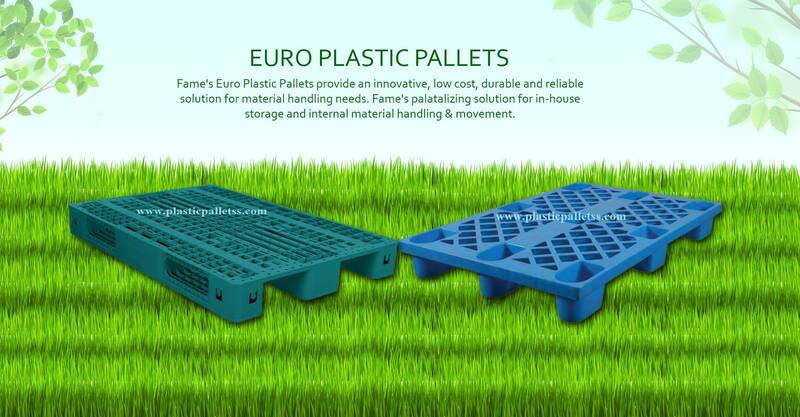 By a team of our adroit professionals, these Industrial Plastic Pallets are manufactured with the use of high-density polyethylene or polypropylene.